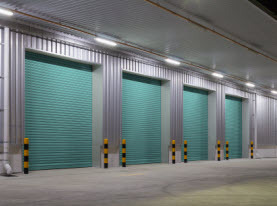 AAA Action Doors supplies garage door services to the commercial businesses and residential homes of the Las Vegas, Nevada Valley. We are completely licensed and insured to deliver a professional quality service at affordable rates. AAA Action Doors technicians have advanced training, years of experience, and natural talents that are amplified with the aid of high-end products, tools, and equipment exclusively available to licensed professionals to ensure our valued customer premium results. Our experts uphold high moral standards and work ethics along with implementing family-friendly customer service. With our superior execution on all services rendered, we will become your trusted garage door professional. Residential homes throughout the Greater Las Vegas, Nevada area utilize their garage door as the primary entry and exit to their homes. 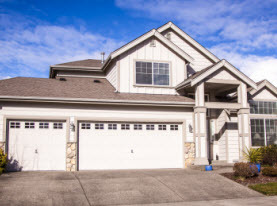 With the garage door being the largest moving component on your home, you need a trusted professional that can assist with the associated services. AAA Action Doors has the experience and expertise to offer our full services pertaining to your garage door. 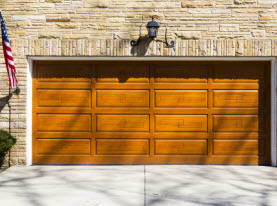 AAA Action Door performs residential garage door installation and replacement services, repair services, maintenance and tune-up services, as well as inspection services. AAA Action Doors of Las Vegas, NV residential garage door installation and replacement service can assist you in upgrading or replacing your garage door. Whether they have sustained excessive damage or just come to the end of their lifespan, AAA Action Doors can help you find the right type of garage door; complete with style, materials used, equipped features, and color perfect for your Las Vegas, NV and surrounding areas home. AAA Action Door professionals get your perfect door installed quickly and efficiently for exceptional performance. AAA Action Doors residential garage door repair service, catering to the homes throughout the Las Vegas, Nevada Valley is extraordinary. AAA Action specialists can make garage door repairs quickly and safely to get your garage door back in full working order. Whether a simple repair or replacement part is required or an intense and major component needs attention, our experts can get it done accordingly. AAA Action Doors provides garage door maintenance and tune-up services to the Greater Las Vegas, NV area homes that should be each performed on at least an annual basis. Keeping your garage door well maintained and fine tuned can reduce the need for repairs and extend the longevity of your garage door as well as ensure the safety features and protocols are effective to keep your loved ones safe and avoid costly property damages. AAA Action comprehensive maintenance and tune-up service leaves no stone unturned, ensuring your garage door is well maintained by the leading professionals. AAA Action Doors offers the local homeowners of Las Vegas, NV and surrounding areas with garage door inspections checks. 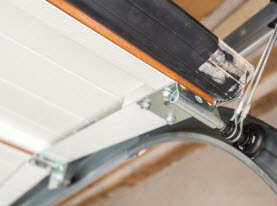 Having your garage door inspected periodically assists in the overall care of your garage door. To assure safety and performance, our specialists inspecting your garage door does so with diligence and commitment to bringing the peace of mind. Residential homes across the Las Vegas, Nevada Valley have a dependable source for your garage door in AAA Action Doors as our priority is customer satisfaction. Call us today if your garage door requires any of our extraordinary services.